Heroes, Heroines, and History: WHY ARE THERE NO NEW CARS? WHY ARE THERE NO NEW CARS? ANNE GREENE here. I’m in the last week of a deadline for my World WarII novel, Angel With Steel Wings, so this will be shorter than usual. In my research for this book I’ve discovered so many fascinating things that it is my joy to share a few of them with you today. For instance, did you know a wartime edition of American Woman’s Cook Book contained revised recipes that gave advice on dealing with food shortages? And, According to Life Magazine, April 20, 1942, Uncle Sam took on the role of fashion designer. The government put tough restrictions on yard goods for women and girls. They restricted the length of hems and belts to two inches, and they eliminated cuffs on sleeves. 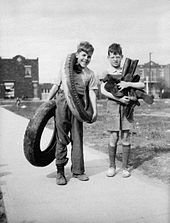 Do you know why Americans collected old tires, old rubber raincoats, garden hoses, and bathing caps? Because the Japanese had seized the plantations in the Dutch East Indies that produced ninety percent of America’s raw rubber. The government confiscated all automobile tires in excess of five per driver. There was also a huge need for steel. So the government unearthed auto graveyards, tore up abandoned railroad tracks and bridges, but still needed an additional 6,000,000 tons. They asked the American people to put every unused item containing steel in collection bins. American did not have enough steel to provide weapons for her solders. They reported that even one shovel would make four hand grenades. How would you have liked to drive back in the days of the war? The government set the national speed limit at 35 miles per hour to conserve rubber and gasoline. Warner Brothers’ cartoons had Daffy Duck and Bugs Bunny exhorting the audience to Keep it under 40! January 1, 1942 as former auto plants switched to producing military vehicles, new car production was banned. 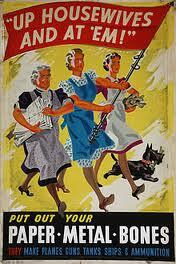 For those on the home front, rationing was one of their contributions to the war effort. Everyone was involved. Each person in a household received a ration book, including babies and small children who qualified for canned milk not available to others. March, 1942, dog food could no longer be sold in tin cans, so manufacturers switched to dehydrated versions. In April, to purchase a new toothpaste tube, a person had to turn in the old one. All sales of sugar ended in April-but resumed in May with a ration of one-half pound per person per week. In November coffee joined the commodities rationed at one pound every five weeks. By the end of 1942, typewriters, gasoline, bicycles, footwear, silk, nylon, fuel oil, stoves, meat, lard, shortening, oils, cheese, butter, margarine, processed foods, dried fruits, firewood, coal, jams, and jellies all had also become rationed. The ration coupon book became the second most important book in the house. The Bible remained the first. To get through the tough times, people turned to God. Everyone had a loved one fighting overseas. So, how would you have liked living through that war against tyranny and murder? Leave a comment for a chance to win one of my books. Be sure to leave your email, so I can notify you if you win. I don't think I would have liked living through that. I took a survey history course in college and the professor showed some of the war footage commercials that were shown before the movie started and on tv. The slogan above, Of Course I Can, and others including Daffy Duck were included. It was interesting to hear about and see how the government broadcasted the restrictions, but I don't think I would have liked it. Thanks for such an interesting post! Would love to win one of your books! What a very interesting post this morning. I cannot imagine living through that most difficult time. My dad was a teenager then so he can remember it well. There have been many things to get through in the course of our history. Thank you! In this time when most enjoy excess, it is hard to imagine rationing. Thank you for sharing these fascinating facts of history! I look forward to ANGEL WITH STEEL WINGS! Wow, very fascinating stuff! I had no idea. It makes me wish I had been more interested in history while in my youth, so that I could've talked to my grandparents to get their first-hand accounts. It wasn't until I became a Christian and started studying prophecy that I finally became interested in all things historical. My, what it would have been like to live back in those days. It must have been a bit trying to be the housewife trying to stretch every little thing for all of her children, while the husband was away. Some of this I didn't know about the U.S. home front during WWII. Thank you for sharing your research, Anne. My neighbor, a war bride, told me that many brides in England had no cake or settled for a cardboard wedding cake due to severe rationing and some used the silk in a parachute to make their wedding gown. She came to the US in 1947 on the then troopship Queen Mary. Rationing there continued into the mid-50's. I don't think I would've liked to live during this time. I have my Grandparents' and Uncle's ration books. Interesting to flip through and see what had to rationed out. I didn't know any of this history. I love and enjoyed your posting. Thank you for sharing this history and for the opportunity to participate in a giveaway. I know I've heard/read about the war rationing before but never in this detail. I really don't think that I would like it very much. But it is amazing to read about all the stuff they needed to collect as well as the food rationing - what kind and how much. Thanks for a very interesting post Anne! my mom remembers the rationing very well. She has told my sisters and I about her father's victory garden and the coupons, how her sister went without nylon stockings, and how they collected tires. She tells how chocolate was very scarce, too. But I saw something I'd never heard her mention on your bottom poster--bones? What did they do with those? Will have to ask her. :) Great post. I write WWII fiction so it is always great to meet another fan of the period. It was a time of making do for the greater good, women stepping into roles they previously didn't hold, and the country working together. Just sorry it took a horrible war to do it. Sugar was rationed so honey and other sweeteners were used to make desserts. One of my favorite WWII posters is about saving chocolate for the guys fighting oversees. The chocolate bars were put in their rations first and foremost. 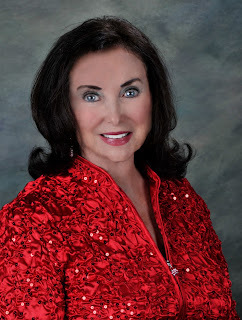 Such an interesting post, Anne, - lot of tidbits I didn't know. Hopefully, there were a lot less auto accidents, because of the reduced speed limit. Interesting question, Kathleen - what DID they do with those bones? 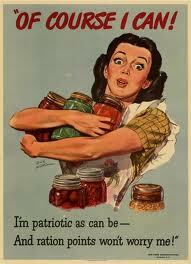 My grandparents were farmers, & probably suffered less because of the food shortages - than did some others. I'm sure I wouldn't have been happy living during WWII, but - we do what we have to do, & there are probably situations today, that those who lived during WWII, would have issues with if living in the here & now. I'm thankful to see that the bible was the most important book then - I wonder what percentage of people, today, consider it to be the most important book to them. Thanks for a great post, I learned so much. I've heard stories from my parents and oldest sister about the rationing but never knew how many things were limited or rationed.